It is sedating, calming and relaxing melts away tension, bringing energy, clarity, logic. Increases self-confidence Uplifting restoring peace and well being to the home or workplace, encouraging positive attitude. This aromatherapy spray I made for myself suffering from some tension and stress which I couldn’t understand why as I really do have a wonderful life. But it turns out I am now starting to go through menopause and with imbalance of hormones comes some stress and anxiety. I love the smell of this spray and everyone asks what I am wearing when I spray it on myself. When doing some markets with my products and people asking me what I was wearing I started spraying them with it as well, ( as a couple other women said they going through menopause as well ) some were coming back and asking if I would spray them again. They all love it and asked if I would make them all some. 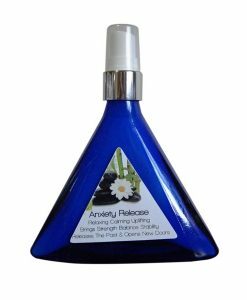 So I have decided to share with you my own personal Calming & uplifting Spray which is so lovely to wear you can use it as a perfume and also in times when feeling a bit tense and stressed. This can also be used as a room spray when you want to create a calming environment in the house, office or workplace. This is a list of the Essential Oils I have used and why. Benzoin :Reduces tension, stress, and melts away tension, anger, resentment, emotional pain and frustrations. Increases self-confidence and attracts prosperity, both material and spiritual. Geranium: Helps release negative memories and nervous tension. Uplifting restoring peace and well being to the home or workplace, encouraging positive, non-confrontational interactions, reconciling quarrels and melting away emotional coldness & indifference in encounters. Lavender: This oil is a harmonizer and brings love, kindness and understanding to any person or place. Lemon: Lemon is a breath of life, bringing energy, clarity, logic and honesty. Used to cut through secrecy, doubt and dishonesty. Cleansing atmospheres and attitudes. Orange: Oil of abundance, joy and fertility, attracting happiness, giving confidence and individuality. Calming anxiety and restlessness in children and adults. Patchouli: It is sedating, calming and relaxing helping to reduce stress and anxiety. Has a significant effect on sympathetic nervous system. It is a natural restorer of balance. Helichrysum: Ability to heal emotional scarring, enhance the flow of subtle heart energy, and connect the body with spirit makes it an invaluable aid for spiritual growth. Frankincense: It offers confidence to aim high, attracting abundance of all kinds, money and success, but also granting access to higher dimensions and contact with angels and spirit guides. 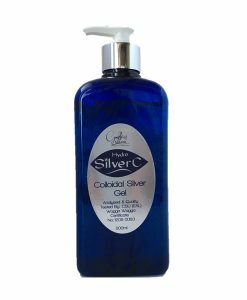 Other ingredients include: Colloidal Silver and Polysorbate to emulsify the oils and Colloidal Silver. I love this spray. I love it so much that I have used half a bottle in 4 days!! My 9 year old daughter enjoys the smell very much as well. It is truly calming and relaxing. Well done Cynthia-another amazing product! 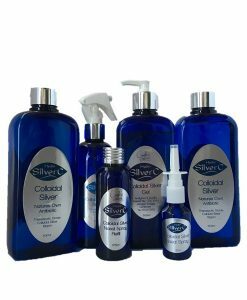 I recently found Cynthia’s products website when I moved over from NZ and needed to find a new supplier for quality Colloidal Silver. 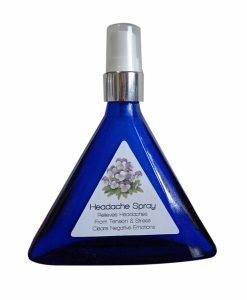 I am very pleased with the product quality, pricing & also wonderful service I received on this and also other products I purchased on the site including this Lavender Hand & Body Wash and also the Calming Relaxing Essential Oil Spray. Thank you Cynthia!